Charitable giving is personal. Choosing a cause to support expresses your deepest values and reflects your vision of the world and yourself. In the College of Nursing, we offer many opportunities for your to invest in your passion. Giving to the Dean’s Excellence Fund enables the college to use your gifts where they are needed most. Whether it’s used for scholarships, simulation lab equipment, or community outreach. 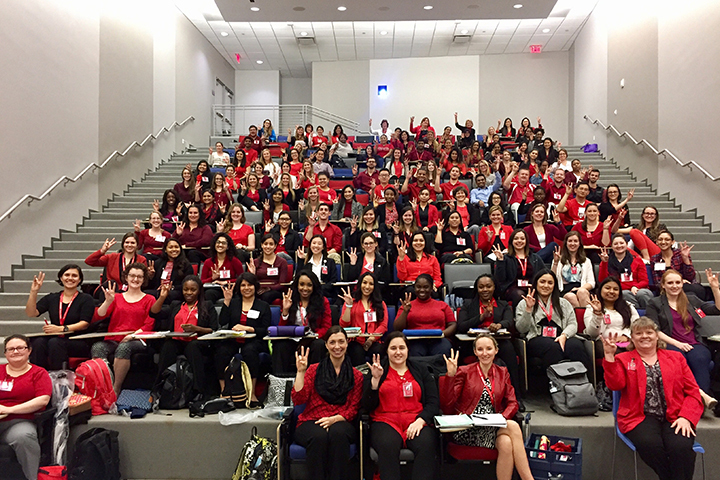 Dean’s Excellence Fund gifts help UH nursing students achieve excellence in their educational journeys as they prepare for their roles as healthcare providers. Friends of Nursing Fund is used for students’ meals and snacks during finals or to support travel for international study, and more. Scholarships and Endowments can truly make a difference in our ability to recruit top students and faculty to the university. Here We Go Campaign priorities helps us move the College of Nursing forward and enables us to provide cutting edge education for future nurses. Including the college in your estate plans provides for the future of our students and establishes your legacy at UH. Planned gifts can be as simple as including us in your will.